Crop health management is one of the cornerstones of a successful farming season. Traditionally, crop health assessment is a very time consuming and labor intensive process to carry out. With the help of drone technology and advanced cameras like the Sequoia multispectral sensor, growers no longer need to spend hours or days surveying on foot. Instead they can collect data, run analyses, and act on problems all in the same day. The Sequoia is a preferred sensor for farmers wanting to integrate remote sensing technology into their precision agriculture practices. The sensor captures the light reflected by plants in four separate bands: green, red, red-edge, and near-infrared, the latter two of which are invisible to the human eye. When added to the PrecisionHawk Smarter Agriculture Package, farmers can capture the invisible and enable real-time decisions that reduce costs and improve crop productivity. 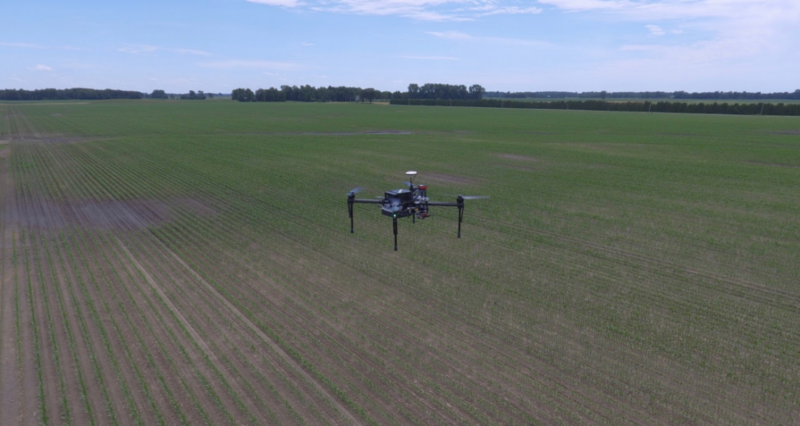 Just in time for wheat planting in the Southern Hemisphere, the Sequoia allows farmers to determine the absolute nitrogen content of their crops to help optimize fertilization maps. And now, when users in Australia and Latin America purchase the Sequoia for their Smarter Agriculture Package in the month of July, our partners at Leonardo will give them three months use of the Wheat Nitrogen Content algorithm FOR FREE. This lightweight and low-cost sensor has been a favorite for farmers who need more bands to capture the invisible. Access to green, red and two infrared bands lets you pick up on nutrient deficiencies, quantify pest damage and manage irrigation. With the Sequoia, growers all over the world are closer to realizing the full potential of your crop with reliable and actionable data. Contact us today at info@precisionhawk.com to learn more about how you can purchase and start using the Sequoia on your Smarter Package.